A Dubai World Cup look is not really complete without a headpiece, or so the saying goes. 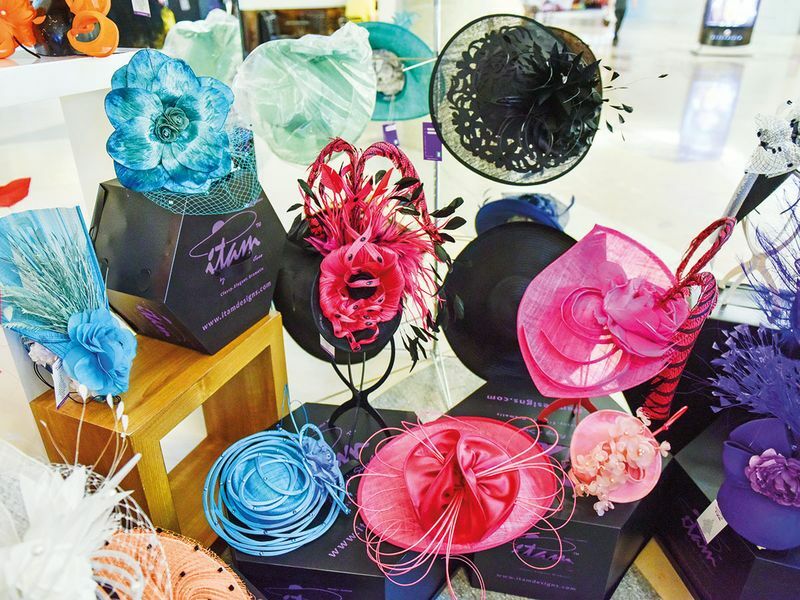 In keeping with tradition, BurJuman has brought back its annual millinery exhibition ahead of the world’s richest horse race on March 30. Although the number of designers has been whittled down to just two this year, the elaborate designs and stylish looks are sure to turn race-day outfits into head-turners. Born in Africa where she spent many years before travelling around the world and finally settling down in the UK, French-speaking designer Christiane Edmondson has been coming to the BurJuman event for the last 10 years. Initially a jewellery designer, she moved on to make bespoke headpieces for friends. As the demand for her fascinators grew, it encouraged her to change her lifestyle and create her own brand. Acquiring clients and exhibiting at fashion shows and bridal fairs, she made her exhibition debut in Birmingham in August 2009. Edmondson’s designs have often been described as ‘explosive’, combining her skills with a deep understanding of women’s needs. 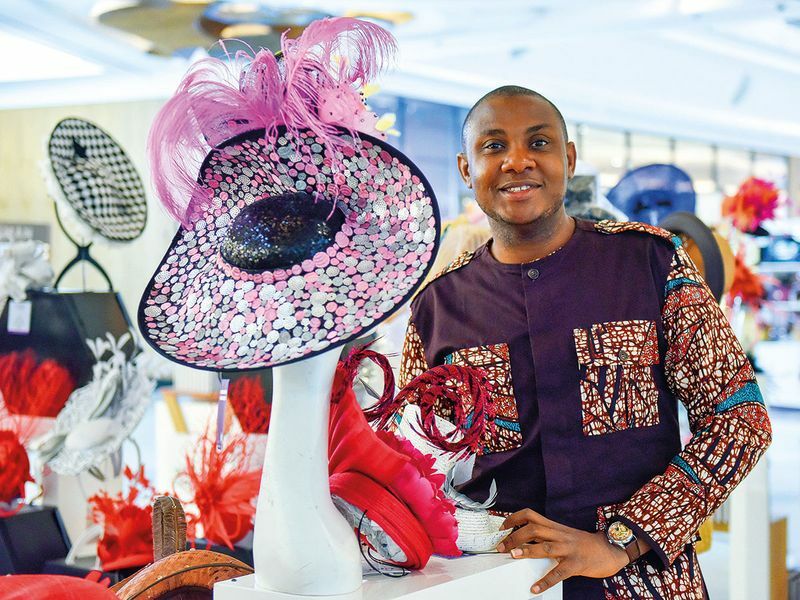 Kingsley Asim-ita, the man behind Itam, is a Nigeria-based designer who started sketching hats as a child. As a teenager, his aunt was so impressed by his talent that she asked him to sketch a design and then took it to a factory in the UK to have it made. After graduating as an architect, he went back to learn millinery and launched his brand, Itam by King’s Signature, in 2012. Also a regular at the BurJuman event, Asim-ita, who is inspired by nature, says a hat should always come before the dress. “It’s safer and more easy to coordinate,” he advises. The biggest mistakes people often make when selecting hats or headpieces is in fit, he says. 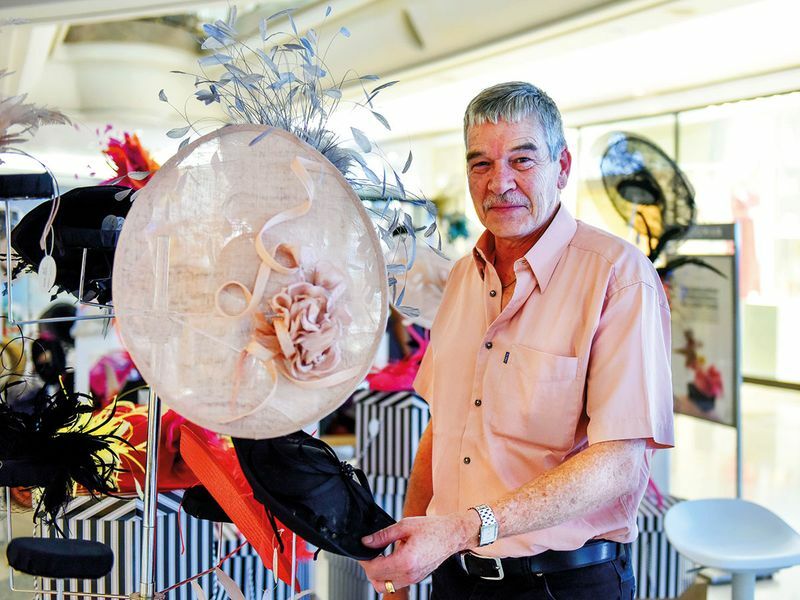 The milliners at BurJuman will hold their exhibition until March 29 on Level S1.